​Savant is no longer available. - wanted to know when something big was coming, whether good or bad? - wanted to make sure you're embarking on a new venture, project, job, or journey at the right time, but seemed to choose the wrong time? - wanted to use astrology to help you choose the right time, but haven't known where to start? ​- wanted to learn beyond the basics to become a real savant but got confused by astro-speak? Learn predictive astrology and see when good and bad times are coming, have better timing for projects and plans, and get WAY ahead of everyone else. You'll learn the super basics you need to learn first, including the symbols you need to use, how to read a chart and ephemeris, what the technical stuff means, what the houses and planets and signs rule, and what the heck transits are. You'll learn how to interpret new and full moons, as well as eclipses. You'll learn the rules for new and full moons and eclipses, and when exactly they'll impact you. Learn about the the various planetary retrogrades, which are when a planet appears to be moving backward from our vantage point here on Earth (and throw things off, sometimes majorly!). You'll learn when retrogrades have the most impact, what each planet retrograde does, and when you're exempt from their influence. The progressed chart is an astrology chart you create by adding one day for every year you've been alive to your date of birth, resulting in a new chart that reflects who you are currently. You'll learn what you should look for in progressions that can lead to events in your current life. Return charts are charts for the moment when a transit (moving) planet returns to the exact position it was at when you were born. Return charts can trigger events in your life, and you'll learn what exactly you should look for in a return chart. In this class, you learn what exactly it takes to make predictions astrologically. You're given a list of what you should track astrologically in general, the hierarchy of aspects, the specific things you should look for when making predictions for specific areas of life, and the basic recipe to follow. This class is essentially the next step that most intermediate students are missing to get to another level. You'll learn how you can combine all three - transits, progressions, and returns - which you learned in the previous classes to further your astrological knowledge and get closer to a pro. 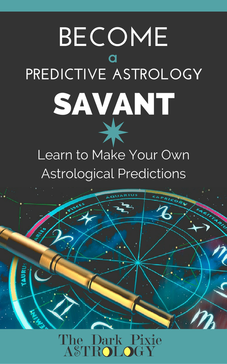 This class touches on a few tools you may use in your predictive work - minor aspects, asteroids, midpoints, the personal lunar cycle, and horary astrology. There are also extra links for you to study up on basic astrology knowledge and some tips on creating charts by hand. In this class, you'll focus specifically on how to use Electional Astrology, which is when you use astrology to find the most beneficial moment for an event to occur. In this class, you'll focus specifically using Mundane Astrology in a modern way. Mundane astrology takes a wide view of astrology to see how it impacts all of us. By the time you finish, you should be well on your way to making your own astrological predictions! I worry it's over my head. This is meant for you if you don't know one iota about astrology. Follow it one class at a time, and go as slowly as you need to go. You're free to do it in your own time, your own way, and at your own pace. Take one month, or one decade! We're all beginners at some point, even professional astrologers, but we all have to start somewhere. Why not start now and here? Since this is the last time Savant will be offered, a special bonus of email Q&A's will be done for the month of April! Each week for the 4 weeks of April, you'll be able to submit any of your astrology questions to be gathered into a Q&A. Huzzah! More info below. You will get one (1) PDF file for the e-book which has all ten classes and the Appendix of Rulers, listing over 400 astrological rulers for different areas of life. You'll also get an additional PDF file with extra lessons on creating and reading a chart and ephemeris. You do free Adobe Reader or free Google Drive to view to PDF files. You get them immediately, so you can go at your own pace. It's recommended you spend anywhere from 1 week to 2 months per class, depending on how much time you spend on them and how much you already know astrologically. You'll be able to download the PDF files immediately upon completion of checking out listed under Downloads; you'll also be sent the files via email so you can download later (this is automated and can take a few minutes to a few hours, so please be patient; if you don't get it in 24 hours, shoot an email with your order details). If you have a problem checking out, trying again later usually works. Note: For those of you who got the Predictive Astrology Course or Program or the Become a Predictive Astrology Savant course, this is the same thing, just redone. For the email Q&A: On April 1st, everyone who has gotten Savant (during this final round or in any previous round, as well as anyone who got the Predictive Astrology Course of Program) will get an email with the link to the form to submit astrology questions. Questions will be gathered together and compiled into a PDF file and emailed out each Sunday. This gives everyone the chance to submit a question without having to worry about doing it at a specific time or on a specific day. Savant is no longer available. 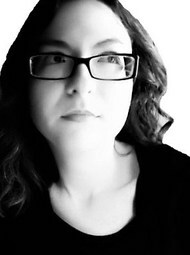 I am Nic Gaudette, an astrologer of almost 13 years, and the creator of The Dark Pixie Astrology. I know a small amount about astrology! Okay, more than that. I've ghostwritten 13 astrology books, written thousands of horoscopes, given thousands of astrology readings, and written many articles (not to mention the free mini courses on this site) trying to help people learn astrology for themselves. I feel astrology can be a powerful tool, and predictive astrology can help you to make the most of the opportunities you have in life. Predictive astrology won't do one darn tootin' thing to change the opportunities that come to you or the things that other people will do to you. What it does is helps you to see when you have good and difficult periods for various parts of life, and helps you to prepare to make the most of the positive energy, and manage the difficult energy so it's not so bad. It helps you to gain more control over your own actions and make better choices and decisions. You truly want to learn predictive astrology, to help yourself, to help the people you care about, to have better timing, and to prepare for whatever comes. You're willing to put in the time and effort it takes to learn, and you're ready for what comes. You don't have the time or want to put in the effort, and you're scared of what you may learn. You don't want to have control over your timing or schedule. Or you have no idea how to read a PDF file or don't have a computer! All files are PDF files, so you do need free Adobe Reader or free Google Drive to view. You get the PDF files right away, so you can download as soon as you finish checking out. If you don't have the time to do it then, you'll also be sent a link to download by email later (allow up to 24 hours to receive). Again, it's entirely up to you. This definitely isn't a something where you can do it all in a couple of weeks. Intermediate students can go faster. The whole point of it being an e-book is for you to learn on your own, and there's no way I'd be able to teach all of you anyway (unless I forgo sleeping, eating, bathing, and find a vampire to turn me). There will be no refunds for the e-book (except in certain circumstances, like you accidentally buy twice). Actually, no! What's in this e-book has been compiled from years of working as a predictive astrologer, and you can't find all of the information for free online (at least, not legally - you can find absolutely anything for free online illegally). And it's laid out in a way where you don't have to guess what to start with or wonder if you're missing something. Follow it in order, no guessing!